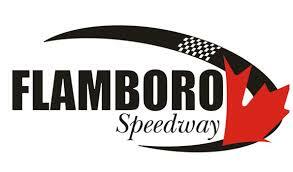 Running up front throughout the entire event, Will Gibbons was able to take home a top-10 finish at Sunset Speedway’s Velocity 250. Gibbons started off the weekend well, winning both of his qualifying heats on Saturday to tie Andy Kamrath as the top-qualifier for the event. Starting in the top-10 for the feature, he’d battle side-by-side with Daniel Montanari for fifth, with Daniel clearing him on Lap 10. He remained solidly in sixth until the first caution flew at Lap 26. Restarting just outside of the top-five, he’d once again challenge Montanari for fifth, but was unable to complete the pass before the second caution waved with six laps to go. He would challenge the front runners once again on the final restart, though ultimately crossed the finish line with a sixth-place finish. Gibbons is not done racing yet this year, as he will be at Peterborough Speedway’s Autumn Colours Classic on Thanksgiving weekend. Will Gibbons and Gibbons Racing are proud to be supported by Truckers Toy Store, Norm’s Fast Lube, Stop 23 Auto Sales, and RW Rust Control. Be sure to keep up with Gibbons and his team all year long by liking the Gibbons Racing facebook page at https://www.facebook.com/gibbonsracing10/.